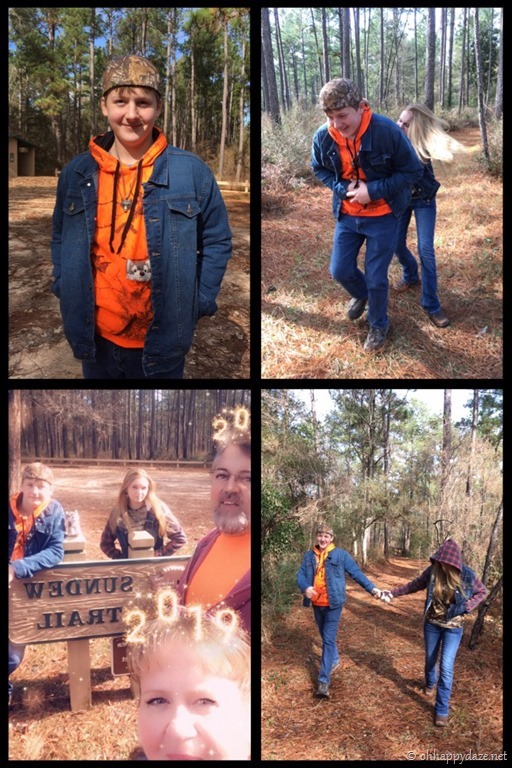 First day hikes have been a tradition of ours for years! We decided to travel about an hour away to a little trail we enjoy called the Sundew Trail. 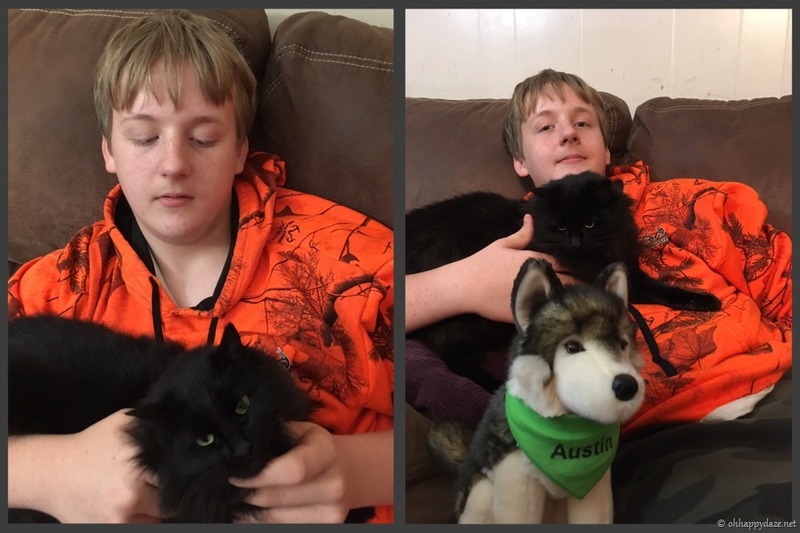 Adam is the official keeper of his brothers “Spirit animal” Lobo, who we take with us to represent Austin while he is away. It was a pleasant day and although Anna was not really wanting to hike on her day off she “cowgirled up” and gave it a go. She being the pest she is had to wrestle her little brother for her big brother’s Lobo! 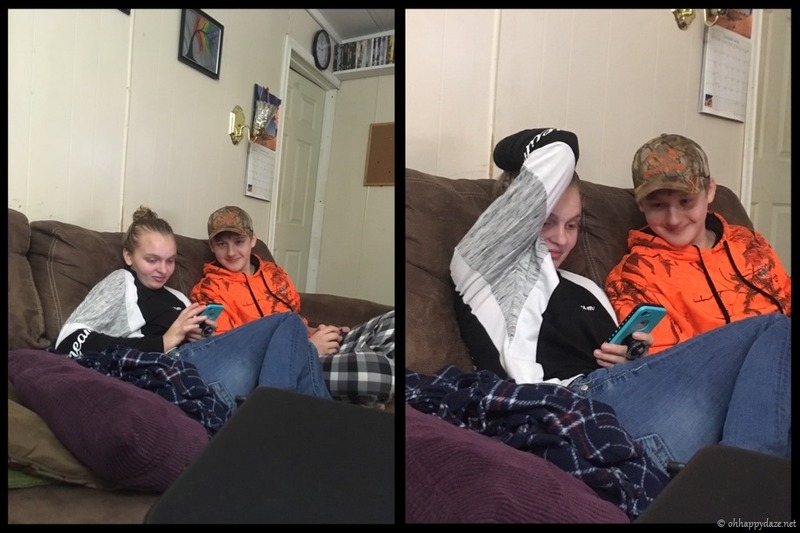 But it is all in good fun, I know they miss their brother and this is a way for them to still feel like all things are well in the world. 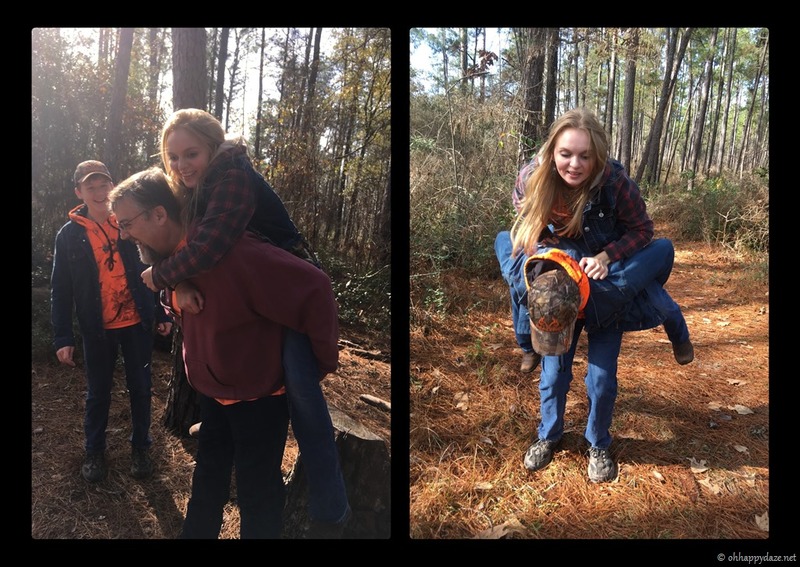 We all ended up taking turns toting Anna on our backs because she really really didn’t want to walk since she is constantly on the go at the animal clinic she works at. She is just a little spoiled! Hubby has been wanting a box to put his Grandmother and mother’s bibles in for some time now. 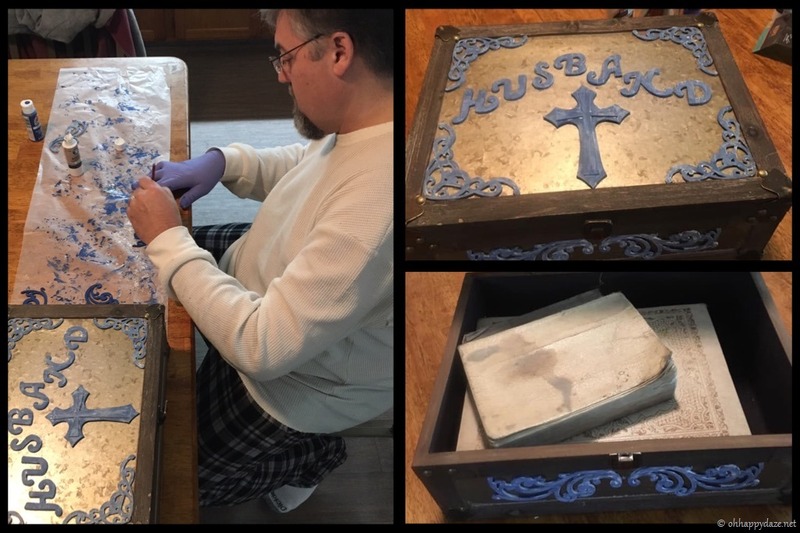 He finally found one at Hobby Lobby and with little creative add-ons, he made a beautiful box to hold his treasures in! Anna decided she was going to take her little bro to the movies! 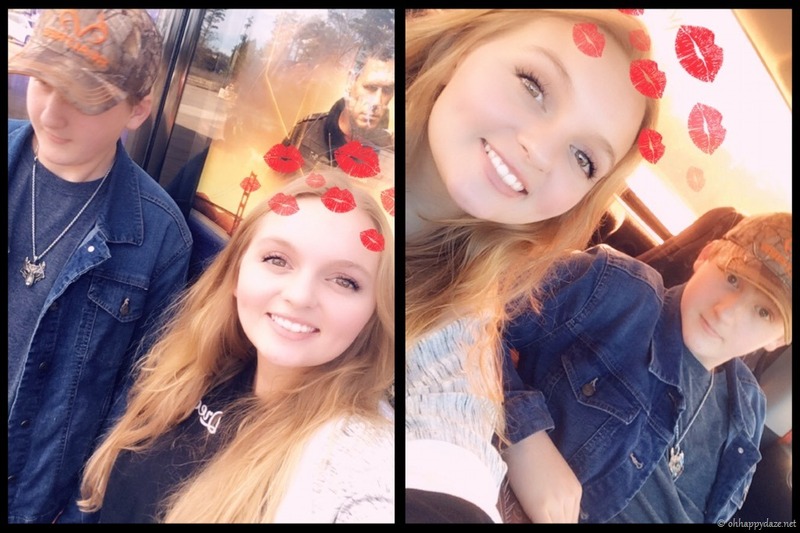 This was the first time they had went to town together alone but now that she has her legal to drive alone license they can go have fun without us. I am glad they have moments like these to bond with and surprisingly they both had a really good time and got along well! We brought Catnip inside to get some pictures of her and when she spotted Big Lobo she just about freaked out. These stuffed animals looked real enough to trick her into believing we had a dog in the house and she was having no part of it! She put back her ears, hissed, growled, and would not take her eyes off of it even when we set it across the room, needless to say, she doesn’t like dogs, not even stuffed ones! 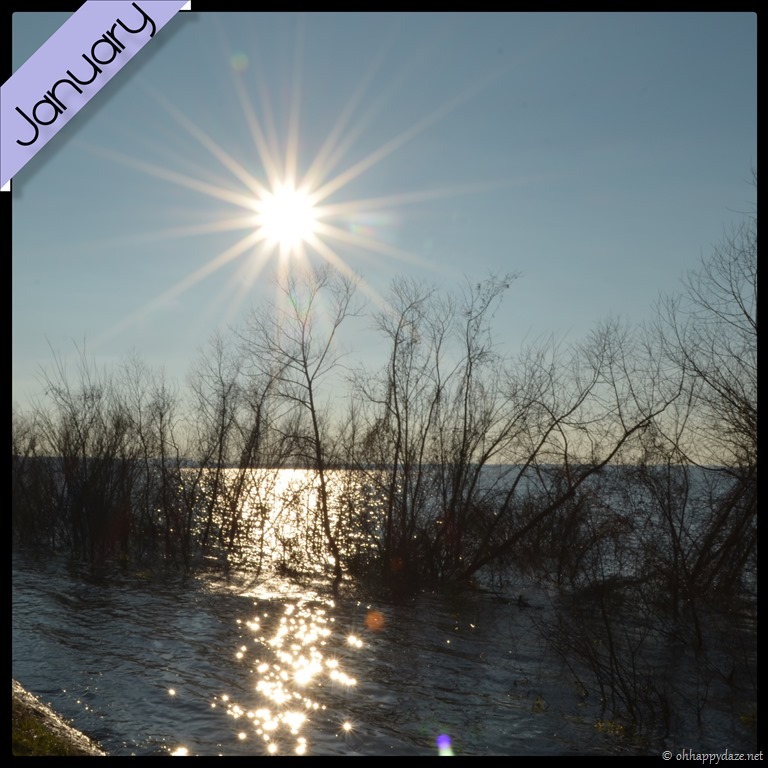 The big news around town this year is the very high waters at our lake that is just a few miles away. It has been about 20 years since the lake has been this high, more often than not we have drought and the lake becomes a river again but this year it was making a good go of coming out of its banks! 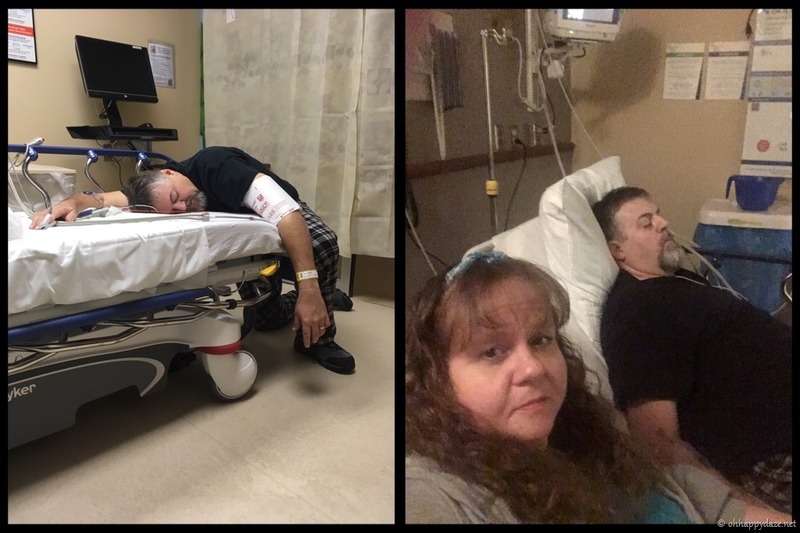 Hubby woke me up telling me he was so sick, hurting and throwing up and was needing to go to the hospital. Poor guy had kidney stones! He was in some serious pain (man pain) and would lay at the end of the cot, I teased him, maybe pray while you are there. But once they gave him painkillers he was good to go! He can’t help but end up in the hospital at least once every year lately! 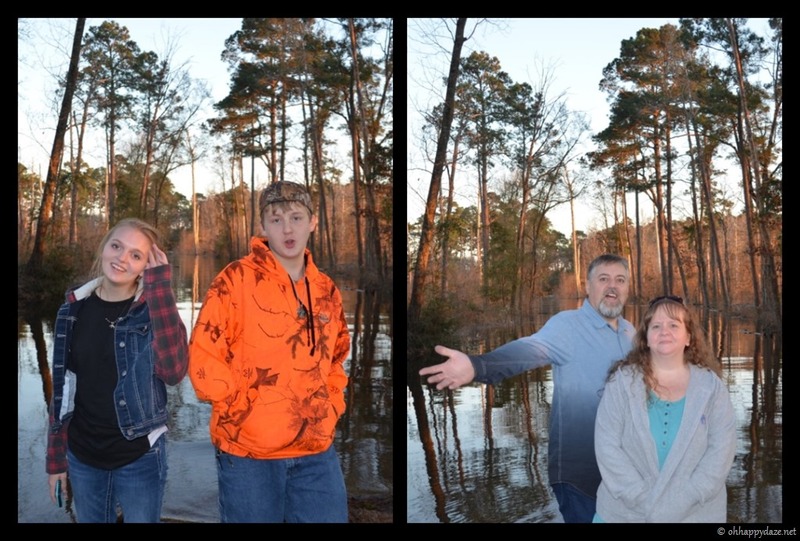 The waters just kept rising and they weren’t opening up the spillway so everyone was out looking at Rayburn at its highest. 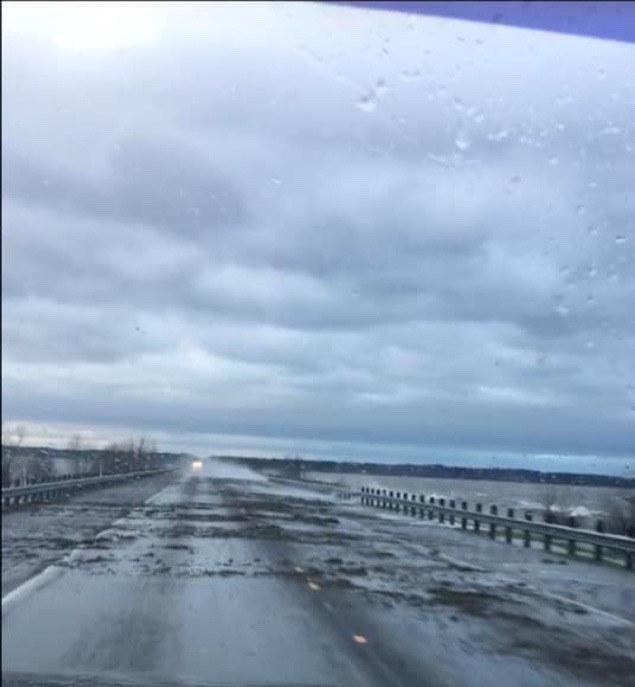 The winds were high and had the waves crashing across the bridge throwing up debris and they had to block the road so they could get a tractor out and clear the bridge. Everyone in our tiny little one horse town decided the thing to do was go look, us included. 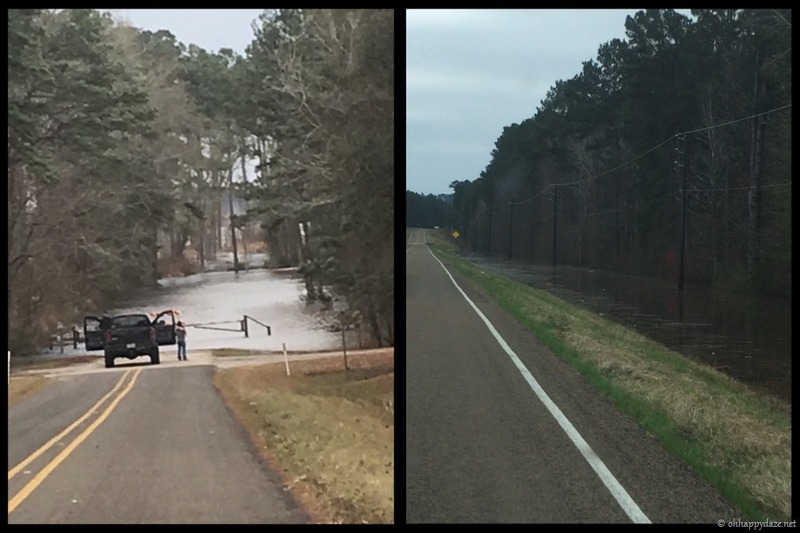 We turned around after seeing we weren’t going to be able to cross the bridge and road around the other places to see the high waters. The Blood Wolf Moon was a popular topic this month. 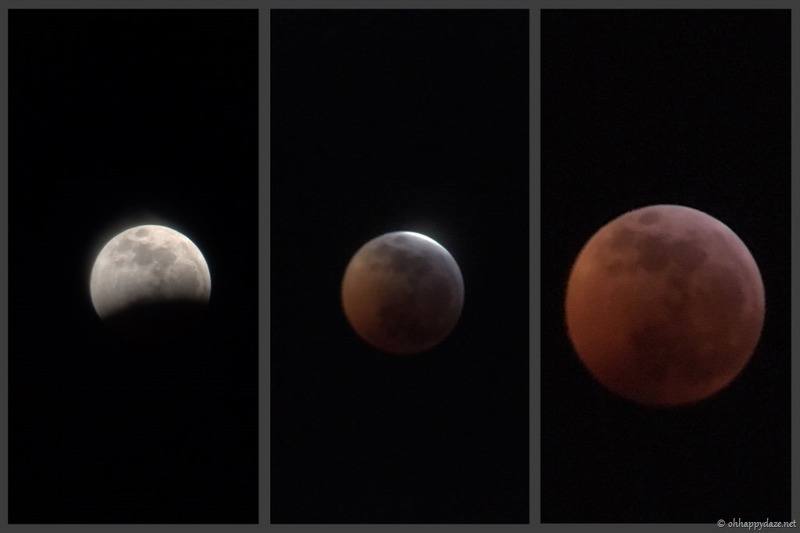 I managed to capture some fairly good pictures of the lunar eclipse by using my iPhone and with great difficulty managing to get a few shots through our telescope! 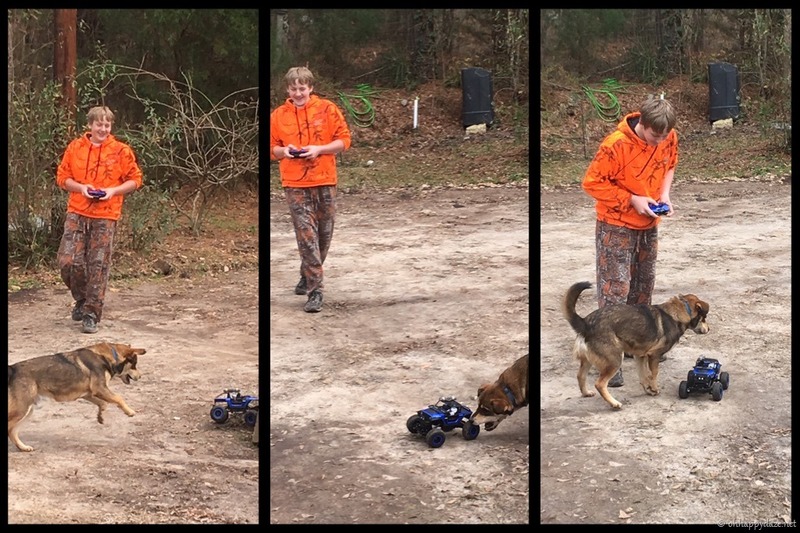 Adam has discovered that our silly pup Biscuit loves to chase his RC car around the yard. He is having crazy fun trying to catch it. Sadly when he did catch it he tried to kill it so Adam had to stop playing that with him but they sure had fun for a little while. 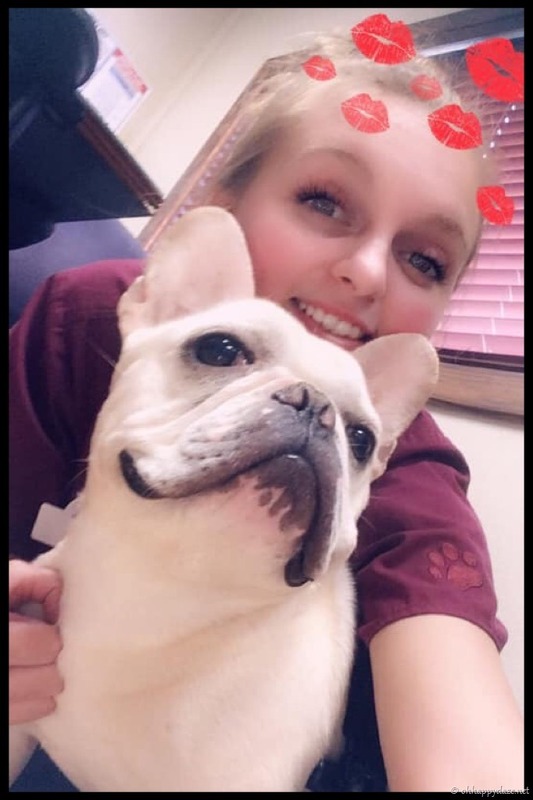 Anna is still enjoying her job at the animal clinic and loving her little handicap wheelchair pup she tends to named Mac. 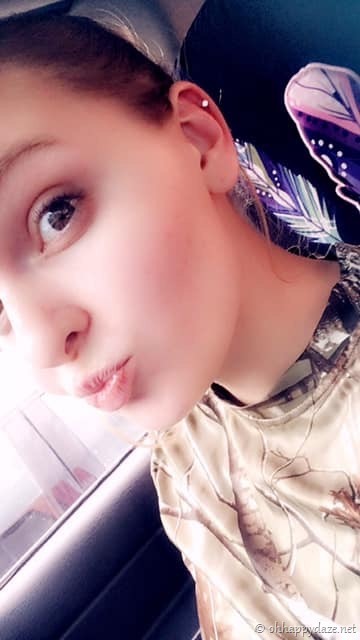 She is also enjoying the things she can buy like another piercing! She has been wanting to get one on her upper ear for a few months now so she was happy to get it done one day on her split shift break from work! 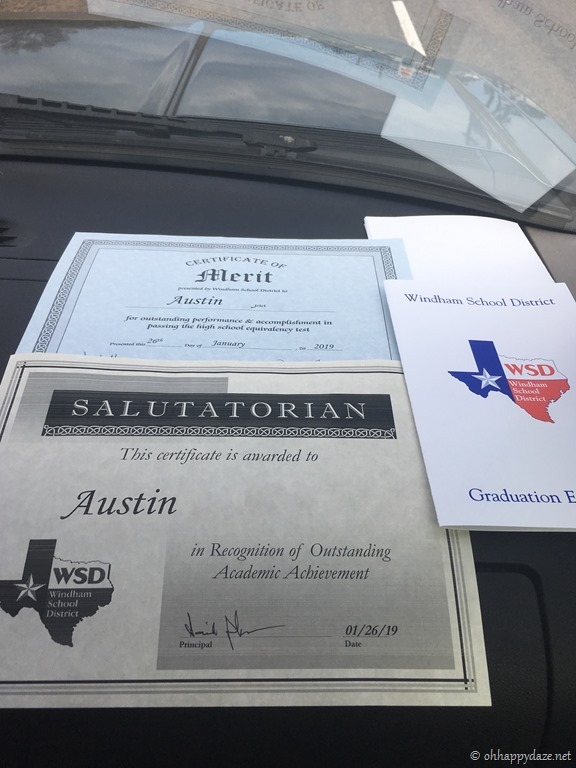 Austin is making the most of his time and went ahead and took his GED test because it was easier to get into college classes using the GED than it was with his homeschool diploma. The amazing thing is that he didn’t really take the GED prep classes but ended up testing out at one of the two highest scores in his class and made Salutatorian. I am one proud momma! I spend most evenings trying to practice some kind of art. 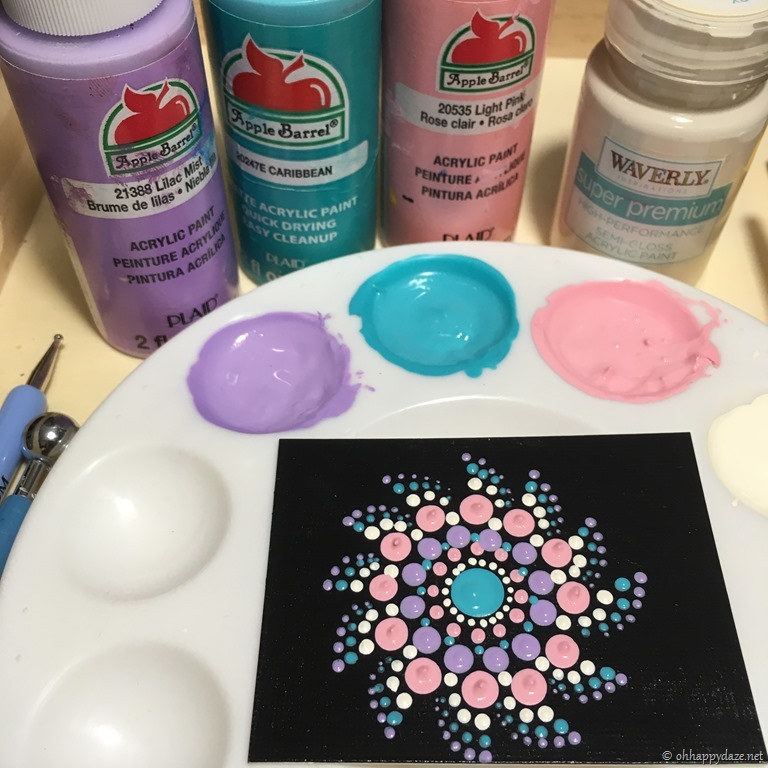 Lately, I have been playing around with the dot mandala art! 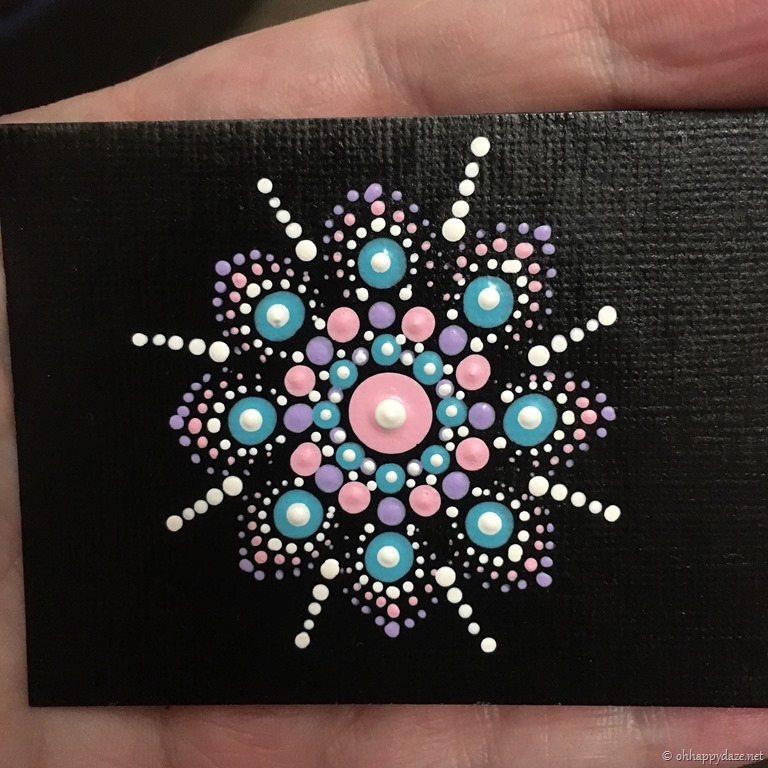 I see some online that just blow my mind with their perfect dots perfectly spaced and mine are “Eh” but I just keep trying, either I will get good at it one day or I will move on to something else. 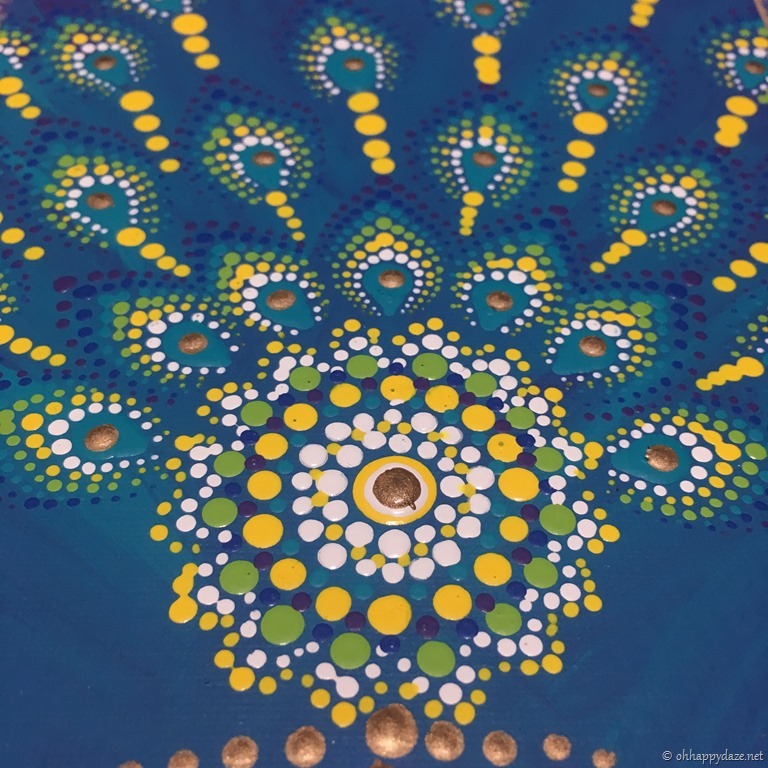 I just mainly try to keep busy which is good for my mind and my hands. Not a bad start to the year! Onward to February! 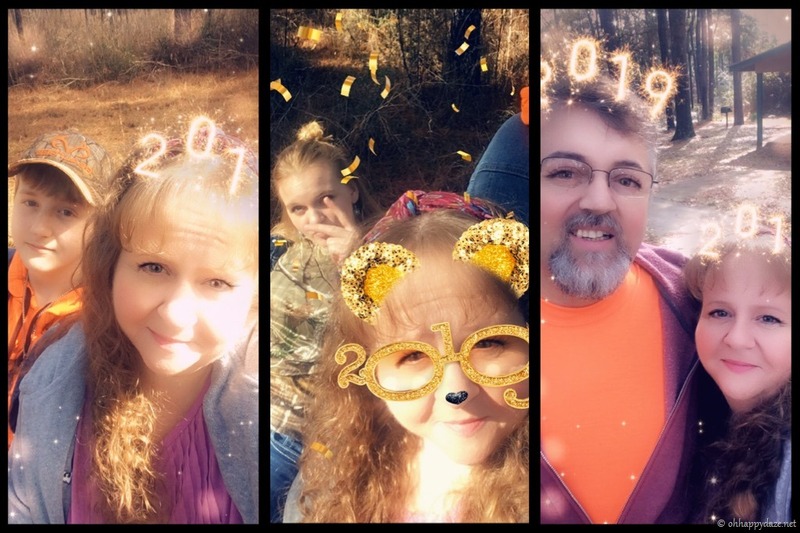 Posted on February 2, 2019, in Family, My Journal and tagged 2019, January. Bookmark the permalink. Leave a comment.